I may be old-school, but I believe that a graphical user interface doesn't make you leave the mouse and type something every five seconds. I certainly don't want an icon-heavy interface that is easier to use if you learn an entire sheet of keyboard short cuts. In fact, the interface introduced in 11.04 was a major stumbling block I never got over. The global menu wasn't where I wanted it, disappearing and reappearing like an Apple-Mac parody of Marley's ghost; the notifications don't quite behave as I like. The HUD (Head Up Display) never really cut it for me, sitting atop Unity. Adding lenses to Unity’s dash, especially one that automatically searched Amazon for products to buy each time you try to open a program - that didn't help. Particularly when disabling ‘Include online search results’ by default was verboten; Ubuntu has to make money now, earn it's upkeep. There's nothing wrong with that, if that's the environment you want to play in. I'd rather keep my shopping and my OS separate, thank you very much. The convergence of desktop, TV and phone interfaces doesn't cut it for me either; it may make sense to have a common code base, common tools, common use cases, but it seems that what we're heading for is a 'one size fits none' approach where common sense is pushed behind the fanfares and the marketing videos a bit like the ginger kid in the school photos. To be fair, Canonical is moving at a rapid rate; new products, new markets, new technologies; there is a drive to innovate and take Linux places; just not any of the places I want to go. It's bold and it's often cutting edge - but as someone who was involved in testing in Ubuntu-QA for a while, trying to nail the lid on it, those cutting edges keep drawing blood. By the way, where is my Ubuntu TV? It seems the Ubuntu stack has been a touch unstable since 11.04 - maybe it's all that work on Unity and notifications, ripping out Gnome components and adding Canonical's own code, but the net result has been a continual stream of program crashes these last four releases, just when the reliability record for a mature operating system should have been on the up. I kept expecting each release to get more stable but 12.04 and 12.10 maintained the procession of apport crash notifications and I won't even mention 13.04. I can tell you in my first month, on three laptops of different age, manufacture and processors, Debian hasn't crashed. There are things I am going to miss. Cloud storage service Ubuntu One: horribly buggy and breakable at launch, yet within three months, rock solid and an essential part of my backup regime. You can get Ubuntu One for Mac and Windows now. But any other Linux? That's hard. And I dislike the lock-in. And the up-sell. And the cross-sell. Then we come to the recent controversies; I've written about those on my blog (http://catlingmindswipe.blogspot.co.uk/2013/05/opinion-respect-in-community.html) so I won't go into the whole downgrading of community input, or the secret development of the Mir graphics stack in place of Wayland. All I will say is there are ways of doing things and communicating with people. There is such a thing as expectation management. You can't blame the community for kicking off when Canonical tells everyone for eight years that this is a Community Distro, that everyone counts, the Circle of Friends is your emblem, and Ubuntu belongs to everyone: until this year we found it doesn't. That too is all fine, since we're not paying the piper, we don't get to call the tune. Who's tune is is anyway? Let's just say I'm less than happy since Canonical cut a deal with the Chinese state to deploy Ubuntu. China and software freedom are irreconcilable at present, no matter how you try to dress it up and keep singing your own song. So I said stop the bus, I want to get off. I thought about the officially recognized variants; I almost went to Linux Mint. Then I considered the dependency on the down-stream derivatives of Ubuntu, itself a down-stream derivative of Debian and none of those made sufficient sense. Why not go back upstream to where the community work happens? I admit Debian isn't perfect. Gnome-3 (Gnome-Shell) remains a hideous, unusable abomination, but you know what, it took about three minutes to revert to a simple set of Gnome-2 panels and menus. I can point, click, and customise as much as I want. I am a simple soul, I need a simple interface. It's also true that Debian isn't as GUI as Ubuntu, or KDE or Mint, and yes, I have to dive into a terminal session to get things done a little more often than under those others. But I know enough now, I'm no novice, I can take that pain. There's an active community behind Debian and the answers can be found. I found your comments interesting and concise. I still use Ubuntu because the hardware support is pretty comprehensive. However, I agree with your general position that the direction of Ubuntu is difficult to pinpoint. These extensions are worth exploring because they add the missing pieces which increases the performance of Gnome Shell. A virgin Gnome Shell is usable, but, when you add a few well-chosen extensions, it becomes a familiar friend. Good luck with your Debian installation - did you have to install extra software for wireless or mp3 codecs? 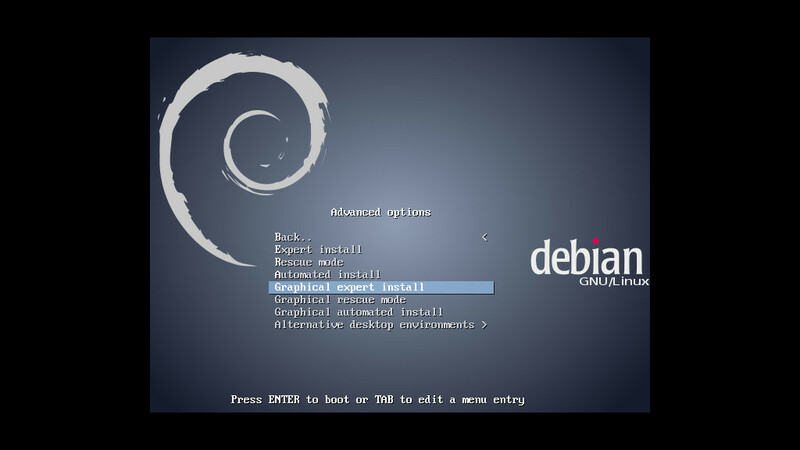 Further posts on progress with Debian are in the pipeline, including a rundown of installations.